Everyone looks forward to their workplace Christmas party. It’s a great chance to reflect on the year that was, to show appreciation for colleagues and to unwind. For some people, it’s the only opportunity they have to mingle with and impress people higher up the chain of command. For others, it’s their best chance to talk to that cute girl or boy in accounting. However, there is one category of employee for whom this can be the worst time of year – the human resources team. 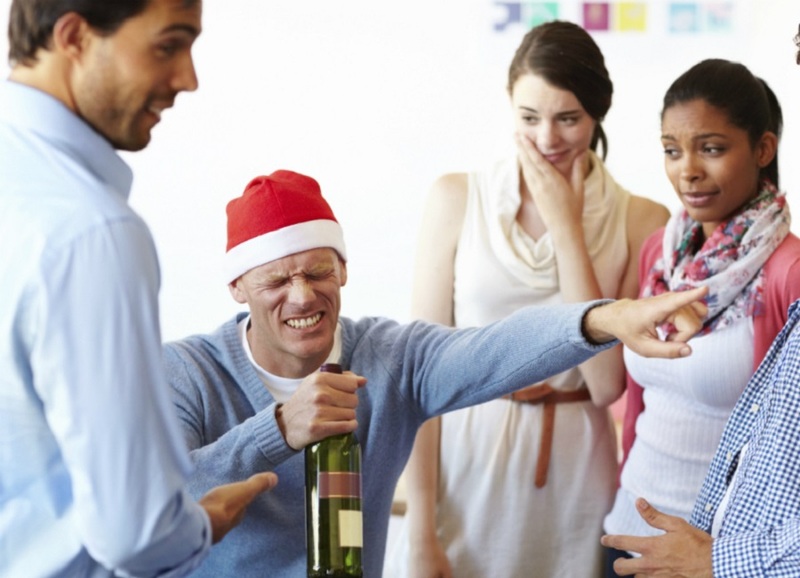 The seemingly innocent workplace Christmas party often creates a perfect storm of opportunities for employees to cause serious harm to employers with long-lasting consequences. During his work’s Christmas party, a middle-level manager tells a director of his company to “f**k off” and then later remarks to others around him that “All those board members and managers are f**ked… One of those managers in particular, he’s a c**t”. An employee becomes intoxicated during his work’s Christmas party and inappropriately touches four colleagues. He also commits a serious breach of confidentiality by telling another employee she has been unsuccessful in her promotion application. The above are actual examples of employee misbehaviour which were subsequently litigated. As you might have guessed, alcohol was at the centre of each instance of misconduct. So what was the fallout? In each example, the employees eventually either quit or had their employment terminated. The impact was profound and long lasting, not just on the employees committing misconduct, but also on other employees who were exposed to it. Lengthy investigations had to be undertaken, which took up a great deal of HR’s time. Ultimately, one night of bad decisions resulted in some employees never being able to enjoy participating in their workplace in the same way again. There are several modern challenges which must be considered by those managing their workplace Christmas function. In the pre-internet age, it was unusual for a person’s out-of-work behaviour to be noticed at work. Social media has made it easier for employers to find records of their employees’ extra-curricular activities. It has also made it easier for employers’ reputations to be damaged by employees’ online activities. Disgruntled employees now have a broad platform from which to air their views. In one case, it was drawn to a company’s attention that one of its employees had posted on Facebook “I wonder how work can be so f**king useless and mess up my pay again. C**ts are going down tomorrow.” Unsurprisingly, the management found this to be threatening and derogatory and the employee lost his job. The employee brought an unfair dismissal claim against his employer. However, the employer’s decision to dismiss was upheld. This was despite the fact that the employee had posted the comments on Facebook while at home and outside of working hours. According to the court, the fact that the employee’s work colleagues were able to view his abusive Facebook posts was grounds enough to justify the employee’s dismissal. However, the employer still had to deal with the damage done by the employee’s conduct and relevant managers were concerned that their reputations had been damaged by the comments. It is easy to see the potential damage social media can cause, especially when it is all too easily accessible for employees who have drunk too much at their workplace Christmas party. Any consequential photos or comments which are posted can have significant negative impacts on both the employees making the posts, other colleagues reading the posts and on the employer. Challenge #2: Where does ‘the workplace’ end? It is tempting for HR to consider their job to be finished after the music is turned down and the lights are switched off. Unfortunately, it has been found in several cases that employees’ misconduct can still be considered to be within the workplace, even if it occurred outside the four walls of the office. In one case, a pilot’s misconduct was found to have occurred in ‘the workplace’ after he fondled a female colleague’s breast while in the taxi returning to his employer-provided accommodation. In another case, an employee’s groping of a waitress’ bottom while eating and drinking at a hotel was found to have occurred in ‘the workplace’ as the employer had an established, ongoing relationship with the hotel and regularly booked rooms for its employees there. An employer cannot assume that ‘the workplace’ has a narrow definition. Employees and their employer can potentially be held liable for their actions both during official workplace Christmas functions and also in the hours which follow. Challenge #3: Who should be in charge of the responsible service of alcohol? Companies often book an external venue for Christmas functions. Usually, when this is the case, part of the agreement between the company and the external venue is that the venue will be responsible for the responsible service of alcohol. HR should not be fooled into a false sense of security. In a recent case, an employee’s misconduct following a Christmas party was found, in part, to have been caused by his employer’s failure to monitor his consumption of alcohol, even though the employer had arranged for the external venue to have this task. The following strategies, while they cannot guarantee an incident-free function, should help minimise the risks. Review your company’s policies to ensure that the expected standard of employees’ behaviour inside and outside ‘the workplace’ is clearly set out and that there is an appropriate and thorough disciplinary procedure in place. The policies should also make it clear that behaviour which may damage the employer’s reputation, even if this behaviour occurs outside the workplace, may still be subject to disciplinary action. Employees must be thoroughly trained in the relevant policies, including disciplinary policy and procedures, particularly the people who are responsible for managing out of hours functions. Ensure that there is some form of monitoring of employee alcohol consumption and behaviour at workplace functions. Don’t leave the responsible service of alcohol and the supervision of your employees at work functions to the venue’s hosts.